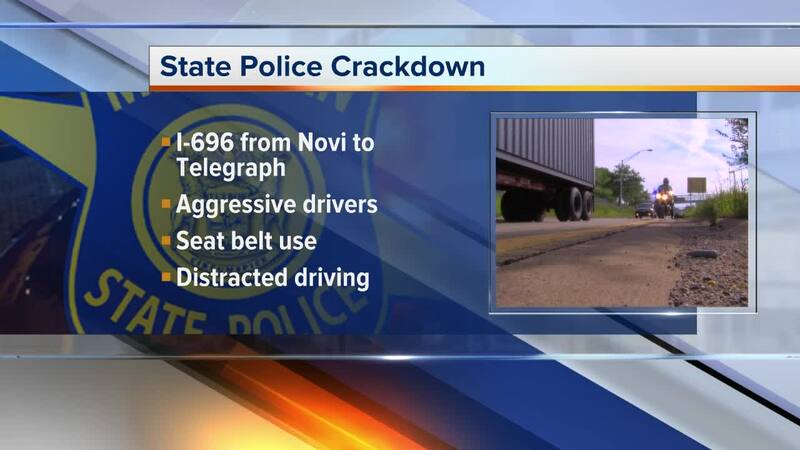 Michigan State Police will be enforcing an aggressive driving crackdown on I-696 Thursday. The crackdown is due to complaints received by MSP from motorists. 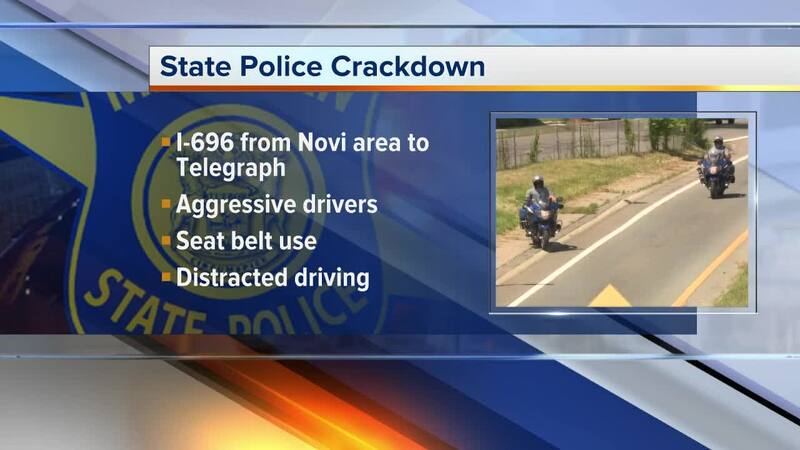 It will be enforced along I-696 from Novi Road to Telegraph from 9 a.m. to 5 p.m.
MSP will be looking for aggressive drivers, seatbelt use and distracted driving. According to AAA, aggressive driving consists of speeding in heavy traffic, tailgating, cutting in front of another driver or running red lights. If you don't want police pulling you over, don't respond to angry drivers and leave early to avoid heavy traffic and delays.